I'll tell you what's not "uncharted" - writing stories about Uncharted 4 getting delayed. Am I right? Sony has announced that the fourth major instalment in the Nathan Drake franchise has been pushed back once again, but only by two weeks this time. That gives Naughty Dog's Uncharted 4 a new release date of May 10. According to Sony, it's nothing to do with game tweaks this time, but to allow for more manufacturing time. 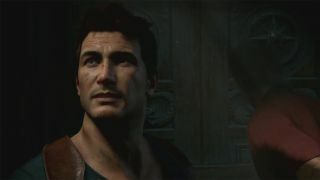 "In an effort to meet the considerable worldwide demand, and to ensure that all gamers worldwide have the opportunity to play the game on day one, we have chosen to postpone the launch of the game by two weeks to allow for extra manufacturing time," said Shawn Layden, President and CEO of Sony Computer Entertainment America, in an announcement on the PlayStation blog. In the meantime, there's an Uncharted 4 multiplayer open beta running this weekend.